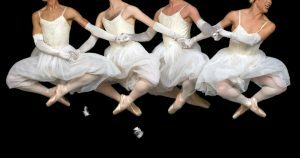 Exploring universal themes of identity, dreams, family, loss and love, Rebels on Pointe is the first-ever feature documentary celebrating the world famous Les Ballets Trockadero de Monte Carlo. The all male, comic ballet company was founded over 40 years ago on the heels of New York’s Stonewall riots and and has a diverse cult following around the world. The film juxtaposes behind-the-scenes access, rich archives and history, intimate character-driven stories, and amazing dance performances shot in North America, Europe and Japan. The Trocks offer a positive space for people who don’t fit the conventional roles of ballet. Their performances incorporate classical technique with camp, drag, and farce, and this spirited doc shows how much better art—and life—can be when everyone is invited to the party. – Patrick Mullen, POV Magazine, 2017. Rebels on Pointe is a creative blend of gender, diversity, passion and purpose. A story which ultimately proves that a ballerina is not only a woman dancing — but an act of rebellion in a tutu. 2017, 90min. Directed by Bobbi Jo Hart. Screening Friday June 22, 7:30pm, at the Gibsons Heritage Playhouse, admission by donation at the door (suggested donation $10).